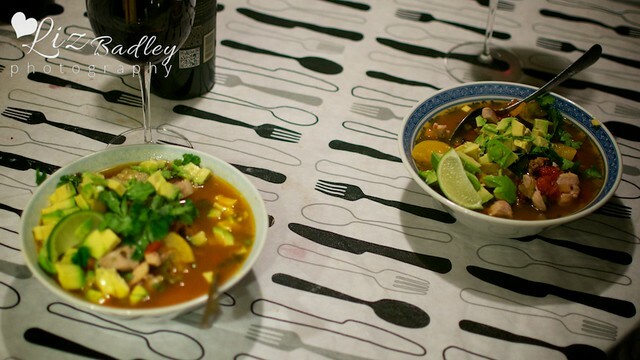 Reston Style: food: gluten free, no-tortilla, tortilla soup! 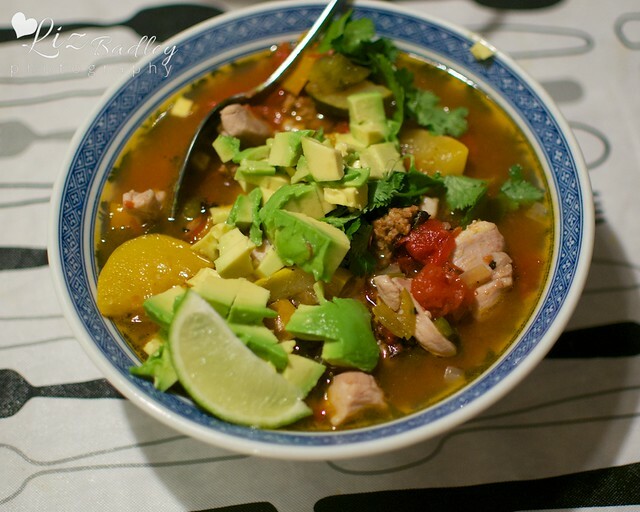 food: gluten free, no-tortilla, tortilla soup! After the celiac diagnosis, I decided to try a 28 day paleo challenge. I know myself, and I knew that I couldn't do it alone, so I recruited Reid to do it with me! And when I was talking about it, my mom even decided to join in! So far we are 11 days into it and all is going pretty well (at least for me!). I have been a little lenient with my cinnamon rolls, occasional cheese, and maybe a little too much dried fruit, but all in all, I feel pretty great! I would say amazing, but I am really fatigued during my workouts. It's really the only side effect that I have noticed. It's not the exhaustion that I was feeling when I was sick, my muscles are just a little more sore during my workouts. My recovery seems to be the same as before. Okay, so on to the soup! This is the first thing that I made as part of the paleo challenge. I wish I could give you a better recipe, but I pretty much just throw things in a crock pot until it tastes good. The one tip I have, is cook the chicken separately and add it just before you are going to eat the soup. 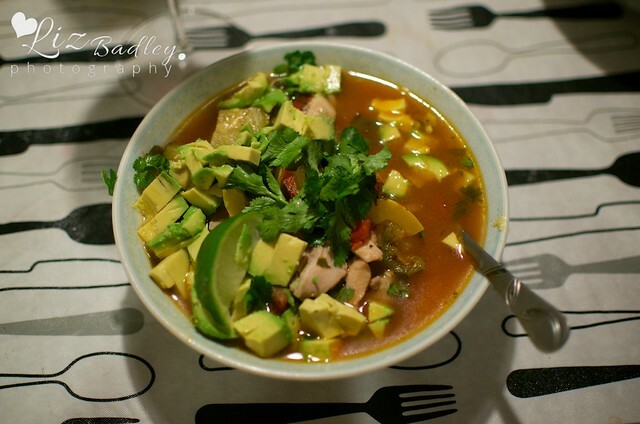 then portion some chicken in a bowl, add the soup, and top with diced avocado (I like mine cold! ), cilantro, and a lime wedge!